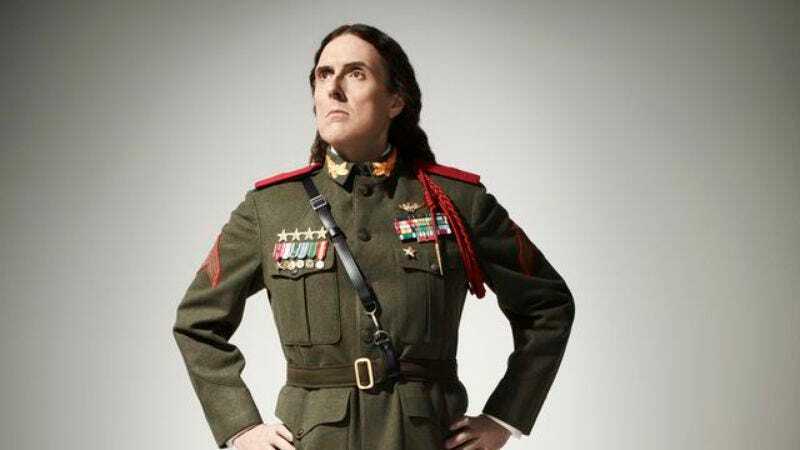 America’s sweetheart and musical visionary “Weird Al” Yankovic may have just enjoyed one of the best years of his storied career, but the man responsible for The A.V. Club copy desk’s favorite video isn’t resting on his laurels. The Hollywood Reporter announces that the musician will again be showcasing his acting chops by voicing a villain in the animated DC Universe film, Batman Vs. Robin. Yankovic will be supplying the voice of The Dollmaker, a criminal named Barton Mathis—at least, in the New DC 52 version—who creates dolls out of the skin and limbs of his victims. In his origin story, Mathis’ father was a cannibalistic serial killer, gunned down in front of the young boy by Detective James Gordon. The Dollmaker wears a mask partially made of skin from his deceased father, which means this film will be a slam dunk for traumatizing impressionable young children. The character of Mathis also made appearances in Arrow’s previous season (and was referenced in the second episode of Gotham), but presumably Yankovic’s take will be slightly different. Batman Vs. Robin, a sequel to Son Of Batman, is drawn from the Batman: The Court Of Owls comics storyline, concerning a secret society that kidnaps Gotham’s children and trains them to be assassins. There’s an extensive voice cast already assembled, including Jeremy Sisto, Kevin Conroy, and Jason O’Mara and Sean Maher, as Batman and Robin, respectively. The film is scheduled for a spring release.